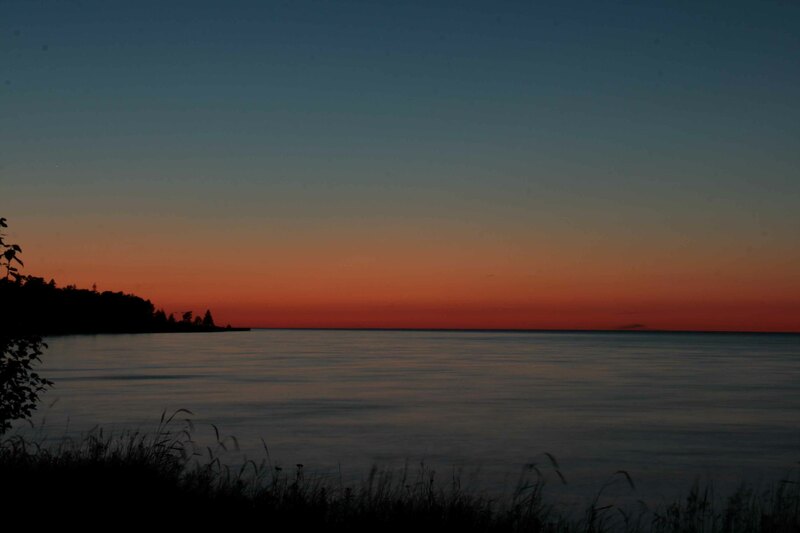 On the North Coast of Michigan’s Lower Peninsula, 11 miles West of Mackinaw City, is a park called Wilderness State Park. The park covers over 10,000 acres of land, extending West from Cecil Bay, through Big Stone Bay and along the shores of Sturgeon Bay. It also includes Temperance Island and Waugoshance Island. There is a modern camp ground with over 150 sites available. Some are directly on the beach, while others are set among the cedar trees just off the shore. 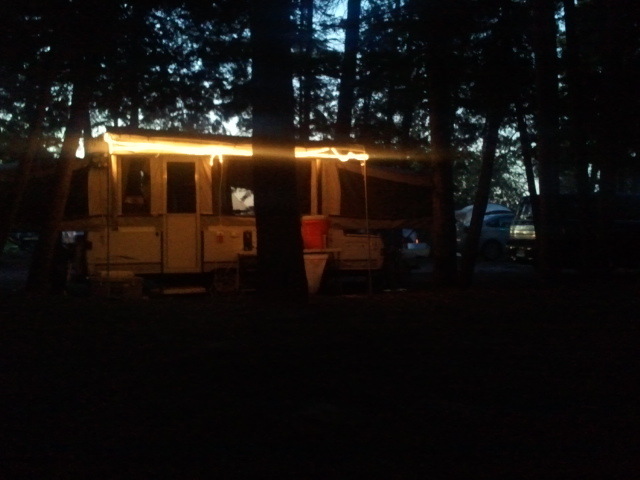 This August, my wife and I spent 11 days at the campground. Our campsite was nestled among the cedars, and was a 5 minute walk from a beautiful beach, which was virtually uninhabited on most afternoons. 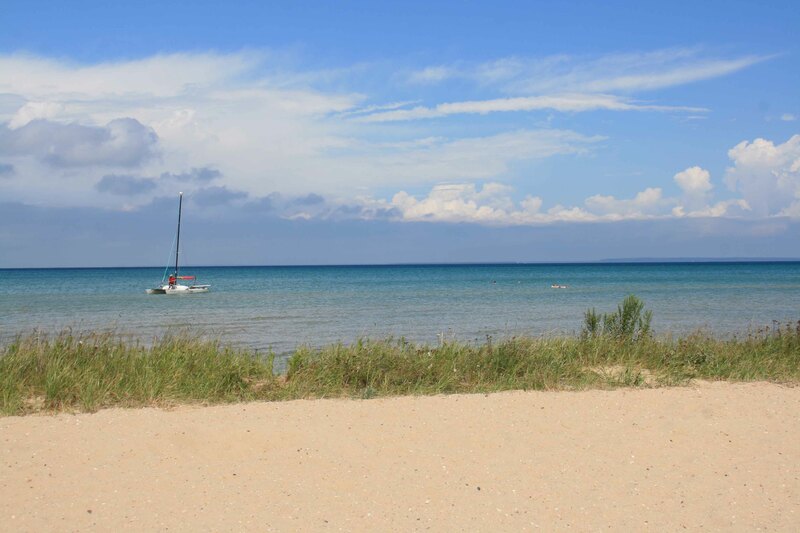 A short drive West from the campground took us to the beaches along Big Stone Bay and Sturgeon Bay. From there we had views back to the Mackinac Bridge, and also the White Shoal and Waugoshance Lighthouses. Much of the park is truly a wilderness, with only hiking trails crossing through it. In the time we were there we barely scratched the surface of what the park had to offer. Just to the East of the Park there is an Emmet County park called The Headlands. That park has been officially registered as an International Dark Sky park. From there, as well as from the beaches of Wilderness, we were able to enjoy the most spectacular stargazing of our lives. Our visit spanned the time of the Perseid Meteor Shower. On the peak night of the shower we had cloud cover. But the other nights of our visit the skies were awash with constellations. I have never seen the Milky Way as clearly as I did from the beach near our campsite. While you are at Wilderness, be sure to stop at B&L Party Store. It is right at the entrance to the park, near Cecil Bay. There you will find the most helpful camp store people I have met in many years. From their eclectic selection of camp gadgets, to their well-stocked cooler and their reasonably priced firewood, you will find just about everything you may need for your stay. If you enjoy State Park camping, and want a place that offers a wide variety of experiences, I highly recommend Wilderness State Park. This entry was posted in Camping, Travel and Outdoors and tagged bobby-c, international dark sky park, wilderness state park. Bookmark the permalink.